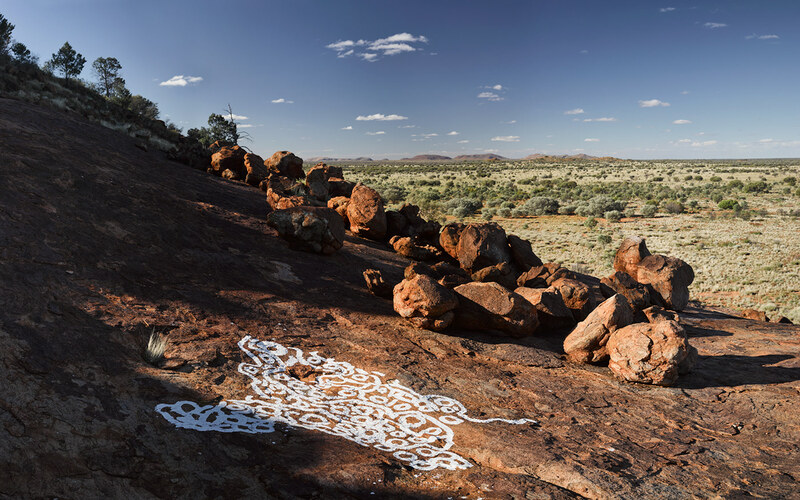 « We wanted to bring back the opportunity for indigenous artists to revive this most original art form that is painting on rock », says Leopold Fiala. 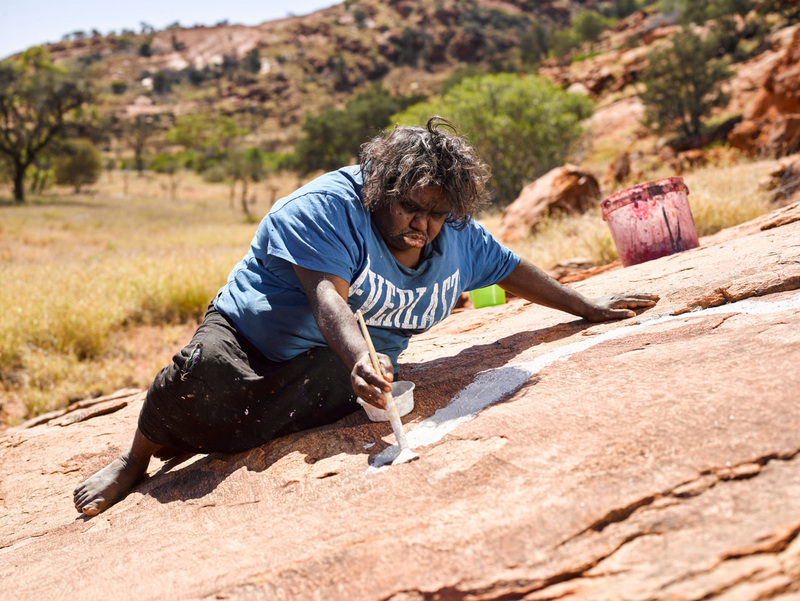 With this project called « Painting on country » the German photographer worked with aboriginal artists and offers marvelous pictures of this world’s oldest unbroken tradition of art. 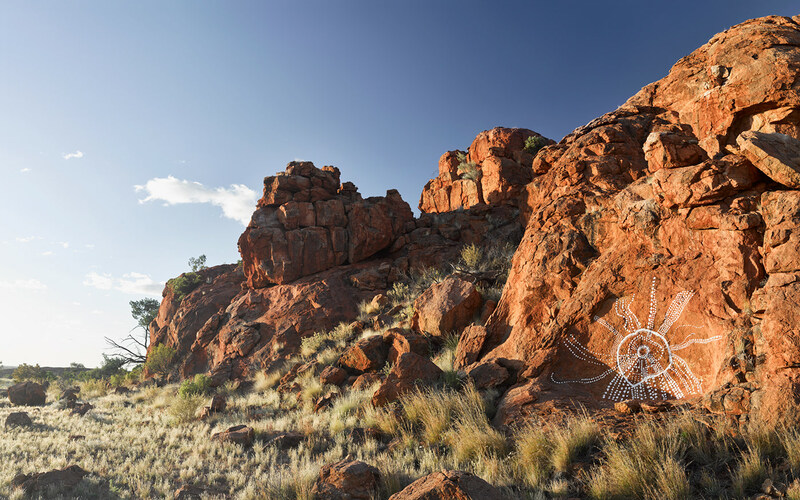 « The oldest firmly dated rock art painting in Australia is a charcoal drawing on a rock fragment dated at 28,000 years, one of the oldest known pieces of rock art on earth with a confirmed date. 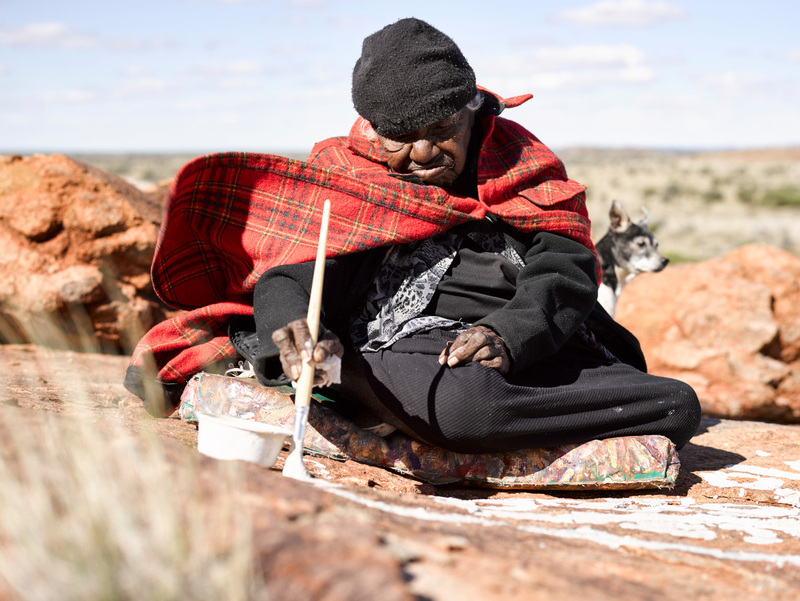 Painting is the indigenous way of passing on important stories from generation to generation », he adds. 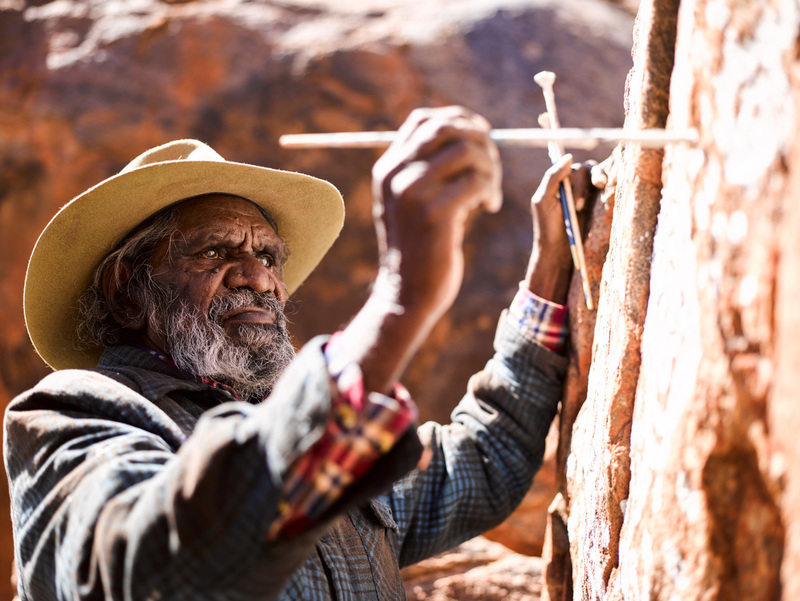 Magical pieces of arts made by five great senior artists from Tjungu Palya Arts. 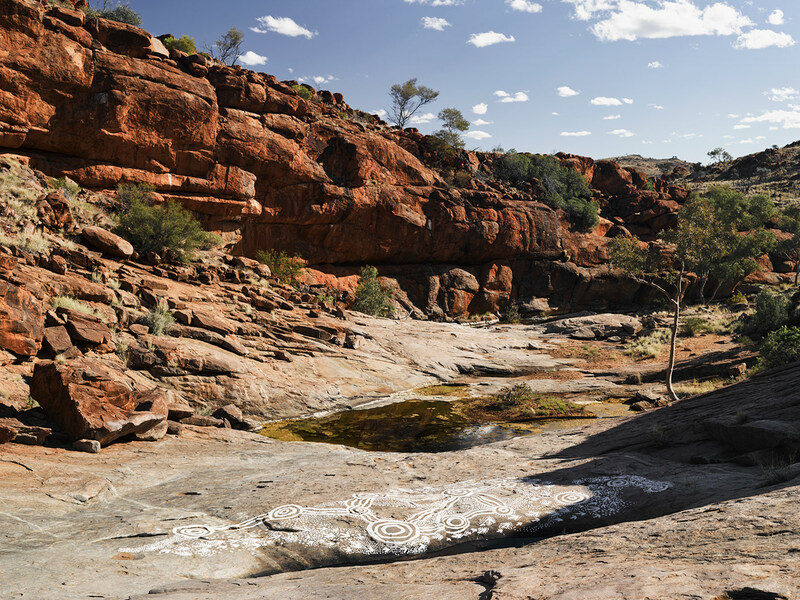 « Together with them, we developed a concept and came up with the idea to give each artist the chance to go back to their homeland and paint there. 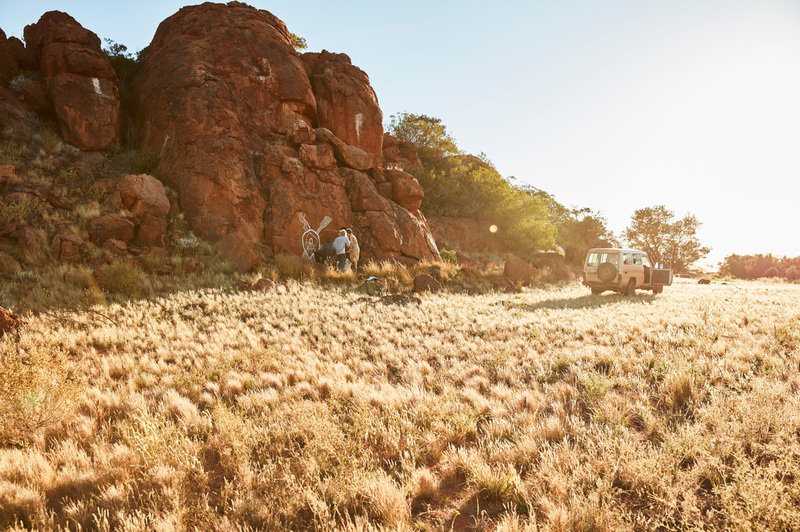 We then traveled there on various bush trips in old 4×4 Landcruisers to find the perfect spots. 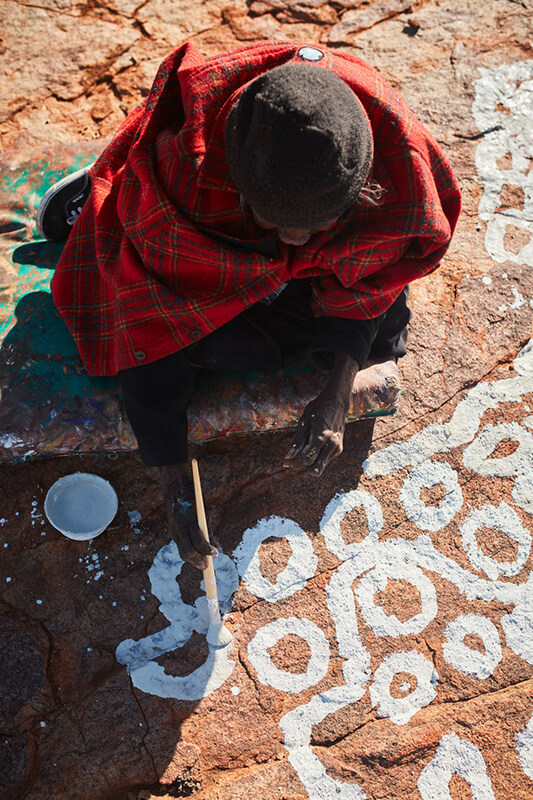 The paintings were done with « tutu » (a natural pigment found in the desert) but have since been washed away by the summer rains. Fortunately, they are preserved through the large scale photographs. The images are 240cmx150cm in size shot on Medium format with an Andreas Gursky approach, to bring out all the details of the paintings and landscapes ». A beautiful way to perpetuate the tradition and share this majestic art. 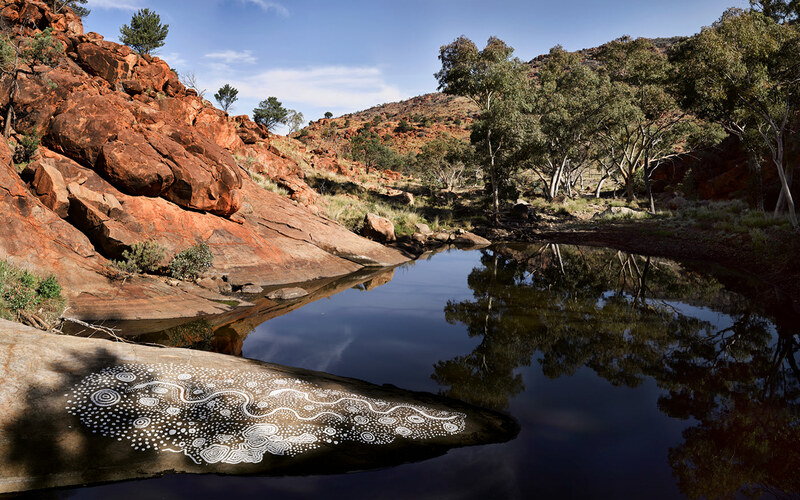 An exhibition is currently occurring in the National Museum of Australia. 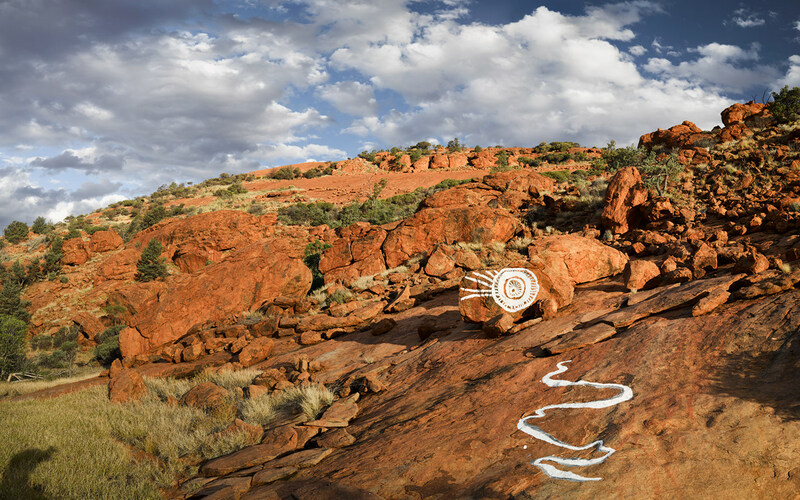 Artwork and Paiting by Marita Baker, Angkaliya Eadie Curtis, Beryl Jimmy, Keith Stevens, Bernard Tjalkuri. Support by Benjamin Bradley, Liz Bird and Jorgen Doyle. A book made with the pictures is available on sale. 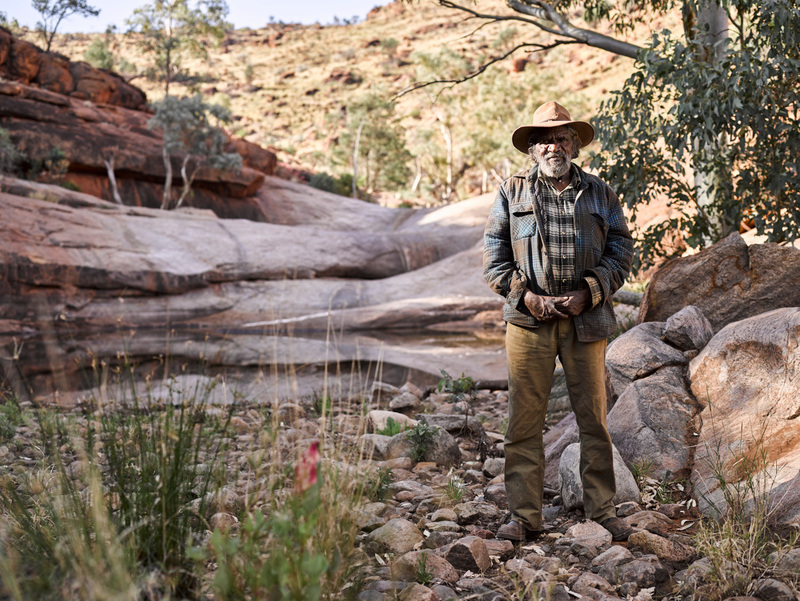 More information on Leopold Fiala’s website : http://www.leopoldfiala.com/Painting-on-country.